The operator simply folds the top flaps of the corrugated carton and feeds it into the machine. 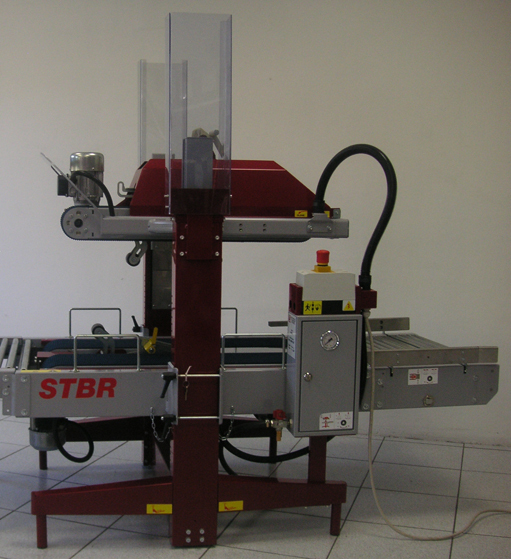 The STB adjusts itself at the requested height and width of the carton and applies a single tape strip, in 38 / 50 or 75mm on the top and bottom of the carton simultaneously. 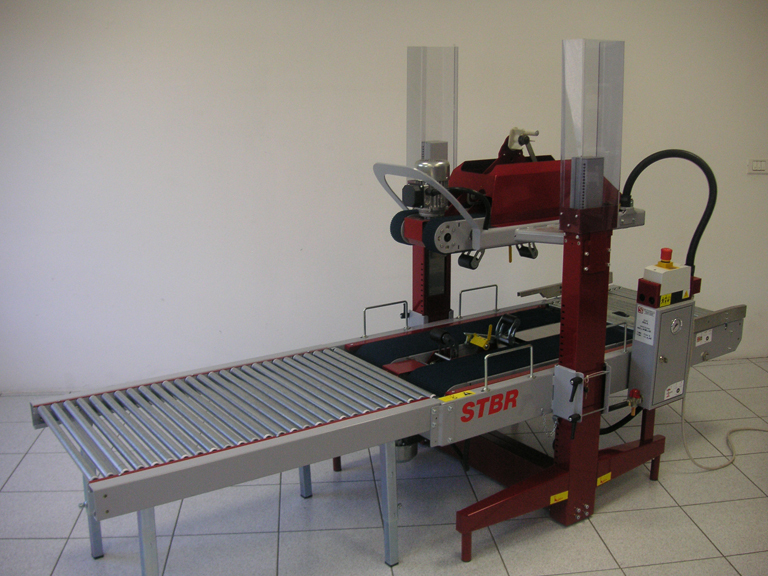 This two belt top and bottom-drive system is a heavy duty RANDOM machine designed for any kind of working areas. Easy operation, high performances and perfectly closed boxes are granted by using this machine. 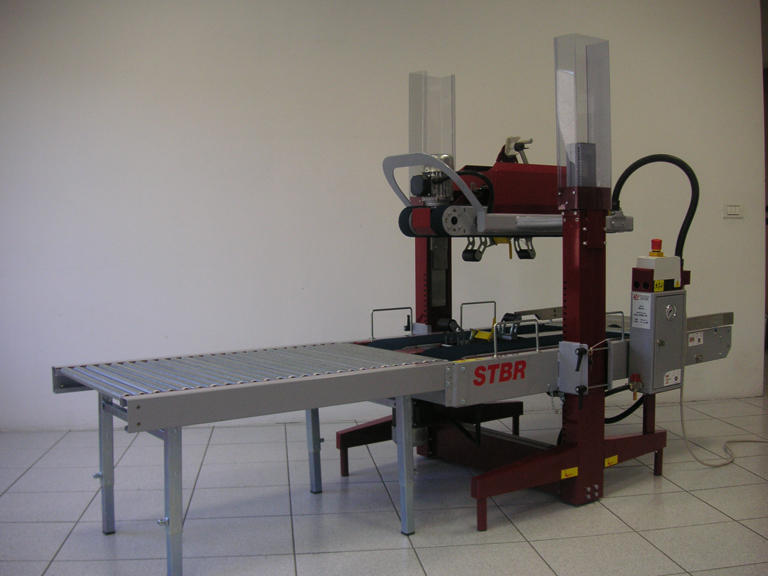 The STBR adjusts itself randomly on every requested carton size (Within machine parameters).